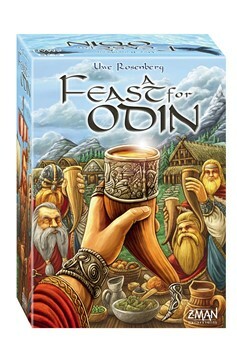 Delve into the world of Vikings and dabble in trading, hunting, raiding, pillaging, plundering, and raiding some more. Build houses, explore new worlds, and every round, have a feast in Odin's name. The large variety of actions and occupations guarantees your Northerners long-lasting fun, with each game creating a new world on your player board!.